Gorenje black fridge-freezer in a retro 50s style has been elected the most energy efficient large household appliance and awarded the Grüner Stecker (“Green Plug”) prize by readers of Austrian daily newspaper Österreich and expert magazine Elektro & Wirtschaft. Gorenje fridge succeeded in pursuing participants of an internet survey about its energy efficiency as it uses only 193 kWh a year which entitles him to the highest energy class A++. Low power consumption brought it victory among 12 “green” large household appliances. Gorenje competed in the survey also with a Pure line oven BO 8750 AX of the new generation of cooking appliances that gained third place on the list and a black washing machine WA 72145 that the survey participants selected to be the fourth most efficient appliance. Austrians are very environmentally conscious and energy efficiency is one of key criteria considered when purchasing a new household appliance or some other electric device. 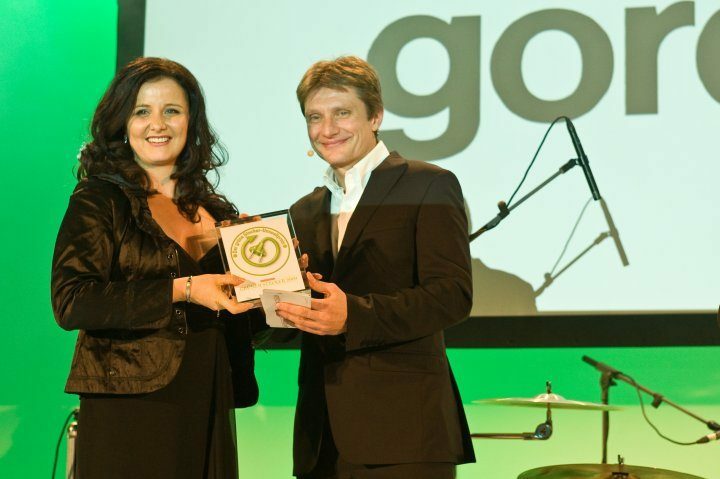 Sandra Lubej, director of Gorenje sales company in Vienna, sees the award as an additional confirmation that in Austria Gorenje is reputed to be a household appliance manufacturer that in search of new solutions for greater energy efficiency doesn’t neglect design and makes well-designed appliances attractive to look at. Special design and energy efficiency make retro fridges very popular among Austrian consumers who can now pick up a retro fridge in fresh spring colours like pink, green and orange. 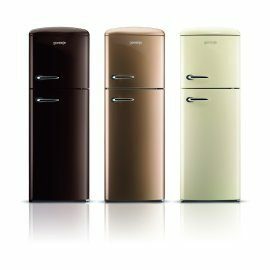 The new collection of retro fridges was designed at Gorenje to celebrate the anniversary of launching the first Old Timer fridge freezer a decade ago in 1999. The refrigerator proved a real sales hit. Reacting to the huge popularity among the customers, Gorenje expanded the colour palette and improved the energy efficiency so that fridge-freezers are now listed into the energy class A++.